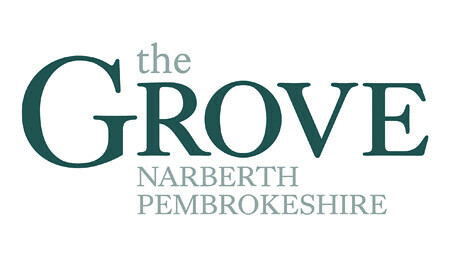 Since December 2010 we have been working with Neil and Zoe; owners of The Grove, a luxury boutique hotel based in Narberth Pembrokshire. 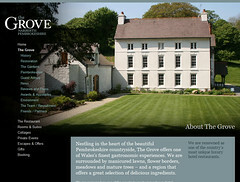 They approached us to develop the Grove brand and enhance its positioning as a luxury hotel and restaurant based in Wales. The superb 16th century building had been restored to the finest specifications and is now a true indulgence, a great venue and already with several high profile hotel, food and wine awards. We approached the brand through a series of refinements; making subtle changes to the typography, colour and treatment used throughout all of the Grove's brand communications. Over the last few weeks we have been putting the finishing touches to the Grove website, which launched on the 11th of June. Like the refinements made to the brand identity, the website was approached in a similar way; working through the previous content with a copywriter to achieve a consistent tone of voice, tweaking the interface to ensure that the design is centred to the user and functional across browsers and screen resolutions.